The TASIS fifth grade have enjoyed four days of sunshine and adventure in Devon. 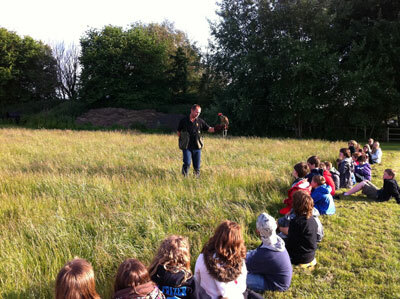 With their base at Skern Lodge in Appledore, pupils discovered many interesting sites. Beginning with Westward Ho!, students received an introduction to an environmental studies unit followed by a visit to Braunton Burrows, with a focus on sand dune ecosystems and plant adaptations. In Hartland, with its cliff walks and tidal pools, they learned about the history of smuggling. To complete the tour, students visited the historic fishing village of Clovelly with its cobbled, traffic free streets and picturesque shops and beautiful scenery. Students enjoyed an exciting mix of swimming, scavenger hunts, sensory exercises, orienteering, and a fabulous bird of prey exhibition during their leisure time.